With four glamping campsites across the UK you can enjoy a little slice of British countryside and tranquillity at one of our locations. 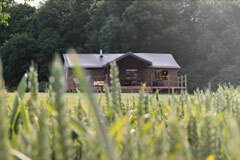 Get closer to nature and the outdoors without losing some of the comforts and luxuries of home; experience glamping in the Forest of Bowland, Rutland, Somerset or the Suffolk Coast. 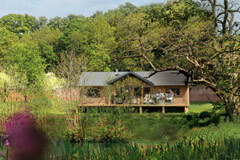 Located near the Suffolk coast north of Ipswich our Suffolk glamping site at Sweffling offers wide spaces surrounded by the shelter of trees. 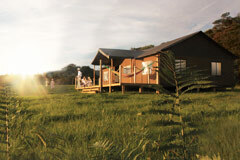 Enjoy the fresh coastal air, open space and stunning scenery with a stay at our Sweffling luxury camping site. It's a new way to visit old favourites or discover places new. 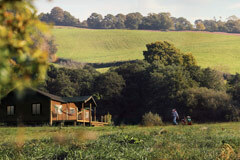 On a Lantern & Larks holiday, your garden is whichever delightful slice of the British countryside to choose to stay in. Each location is situated in a peaceful corner of private land or farmland, making the most of the local flora, fauna, tranquillity and views. Explore the locality, the village life, footpaths, the sounds and sights. Then sample the broader highlights of that county's woodland, moors, coastline, towns, hills and valleys, waterways and lakes, its country houses and the many varieties of regional treasures that gave us reason to light our special lantern here.